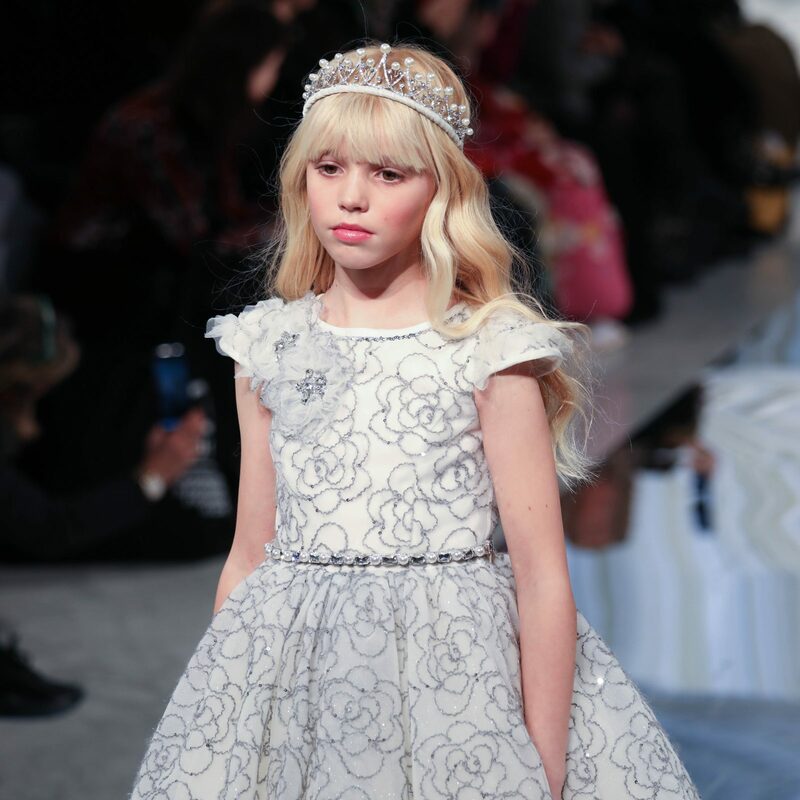 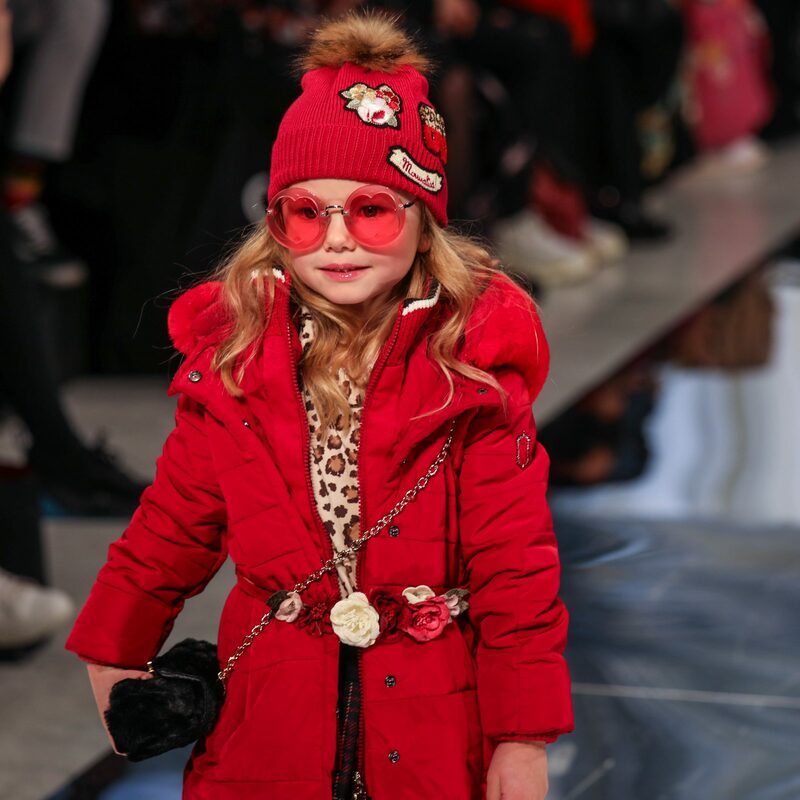 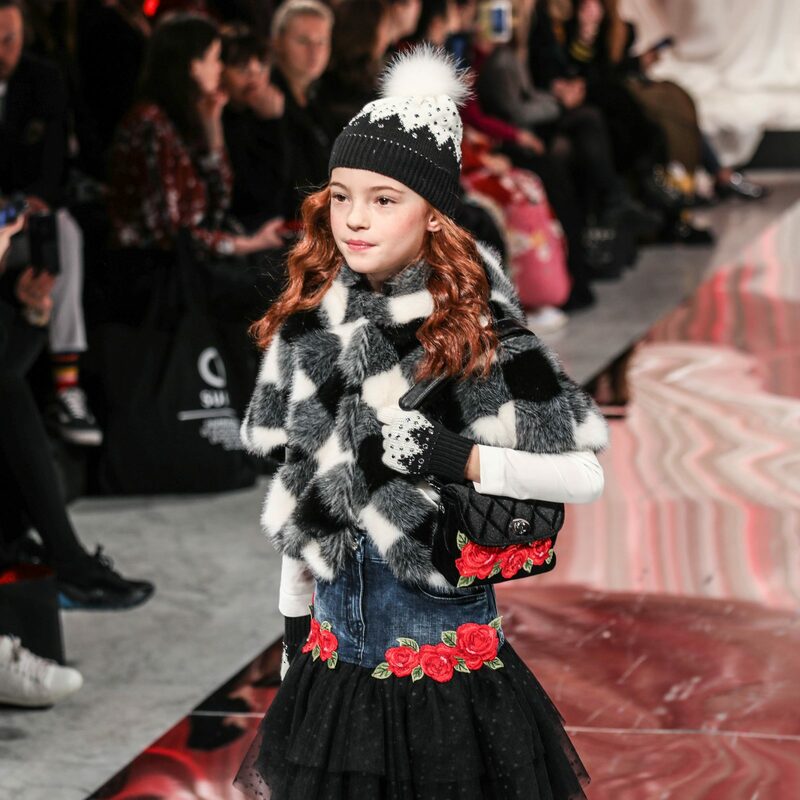 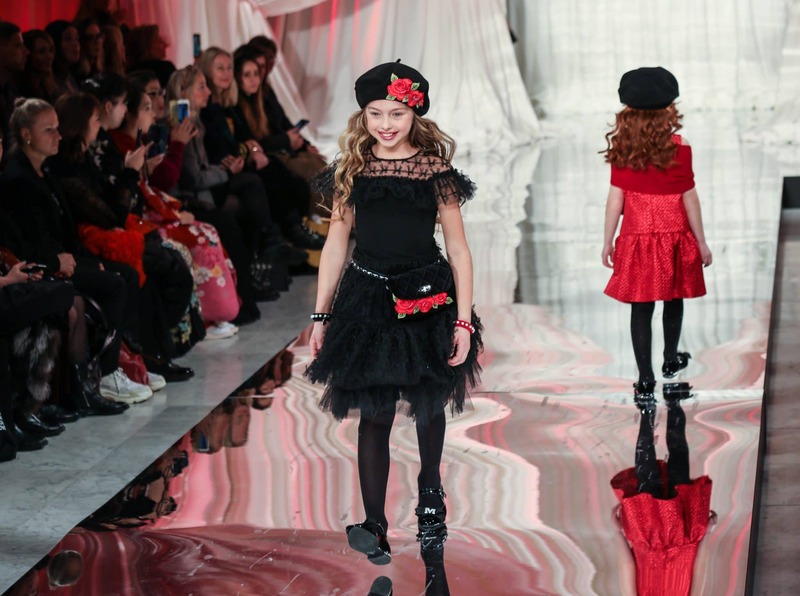 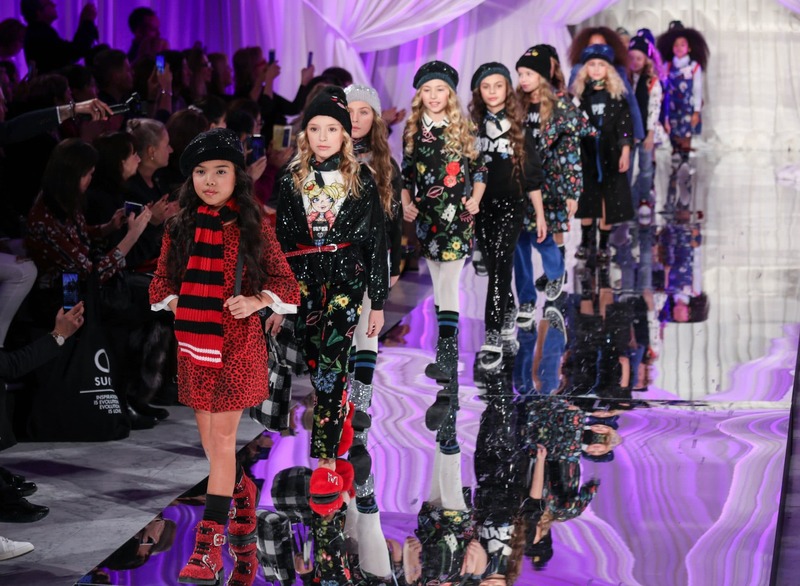 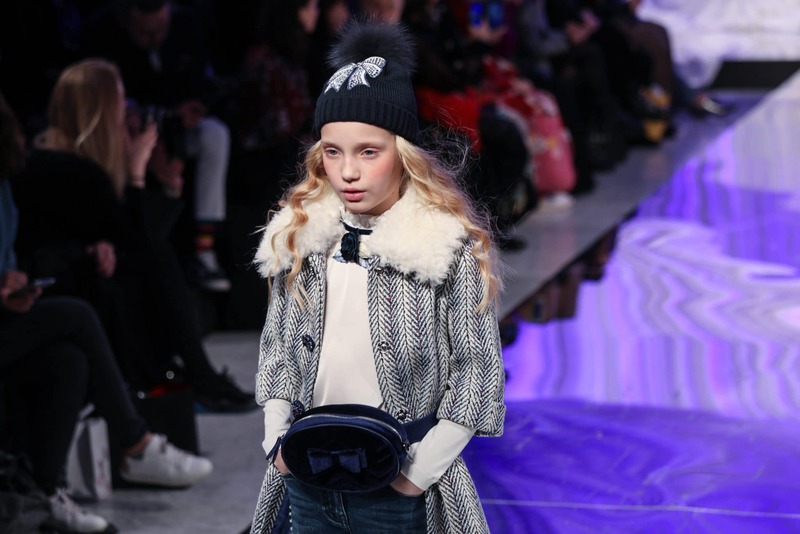 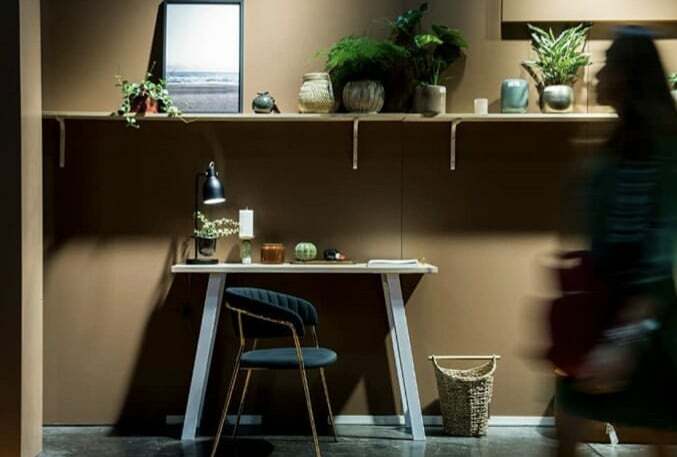 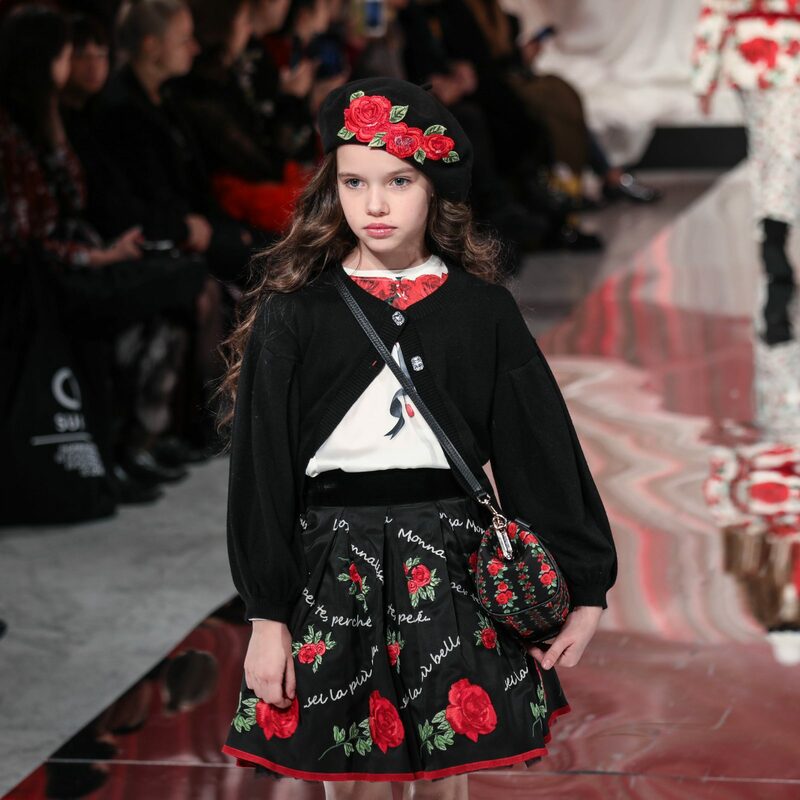 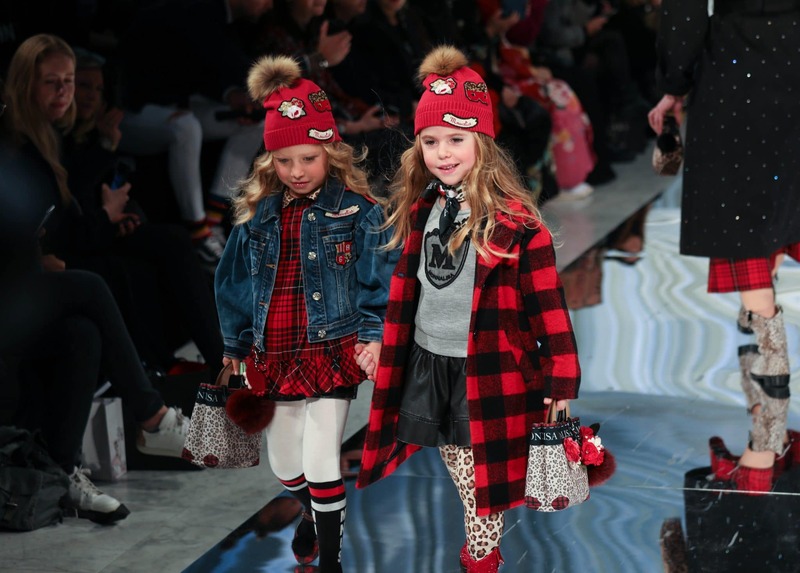 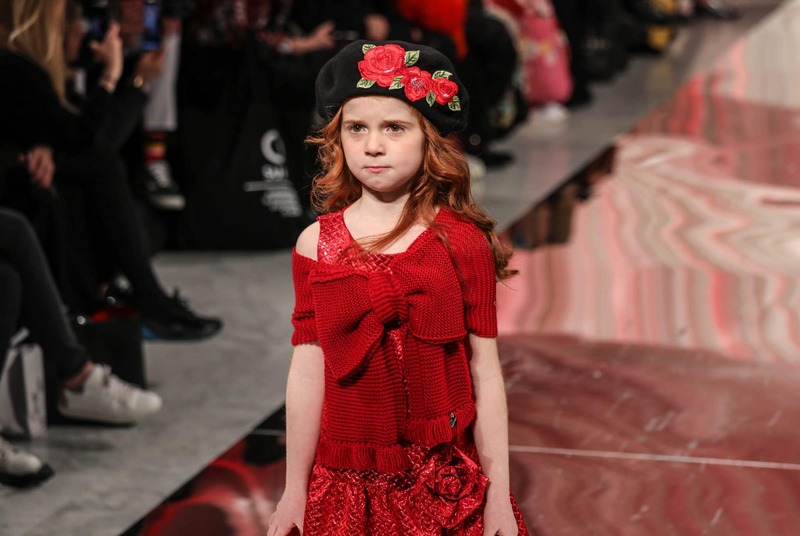 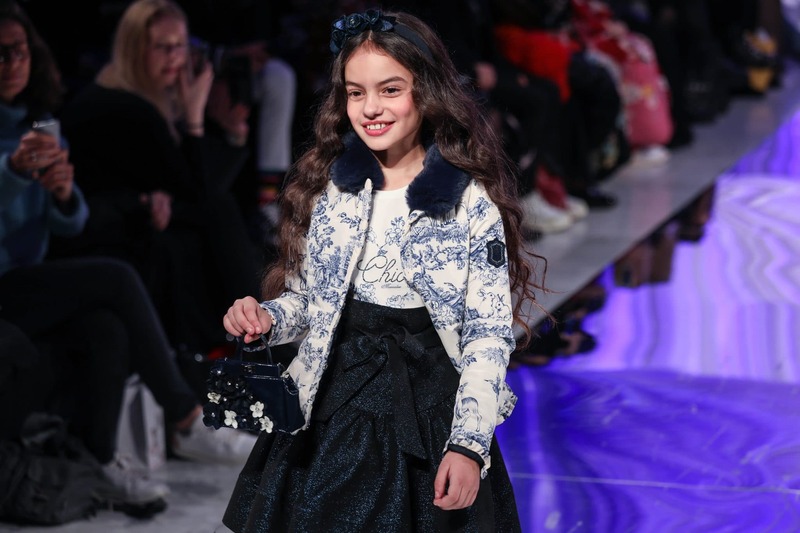 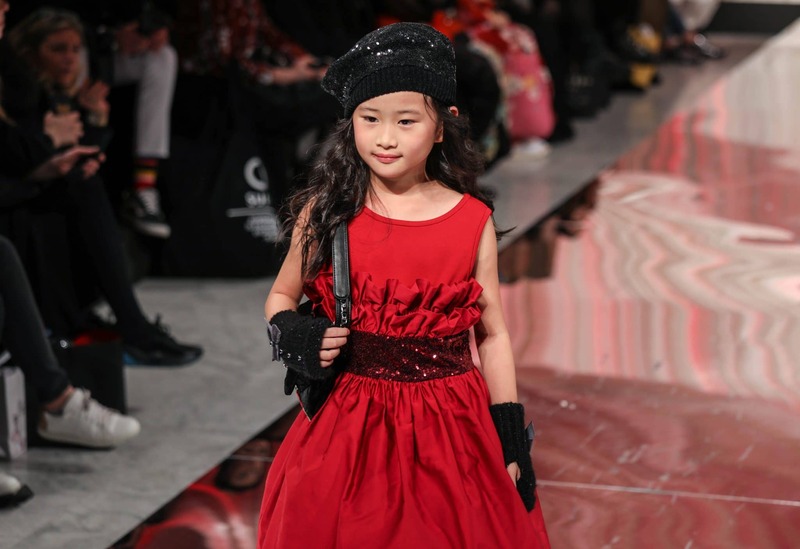 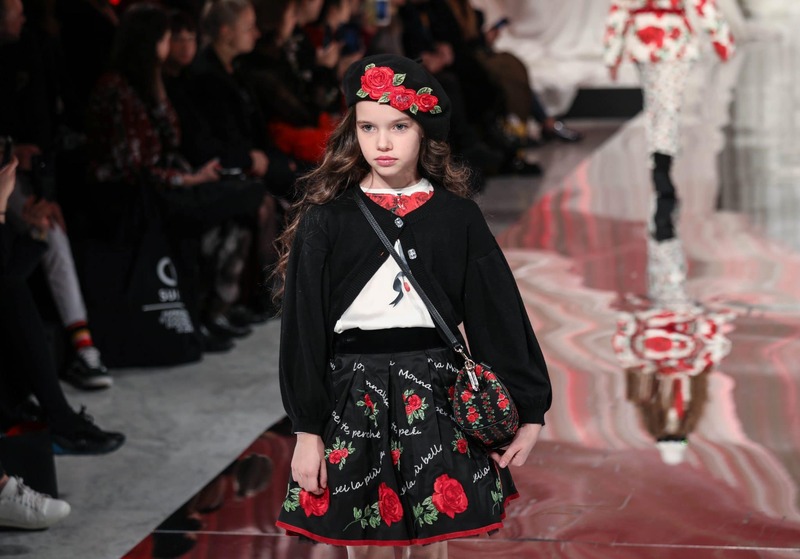 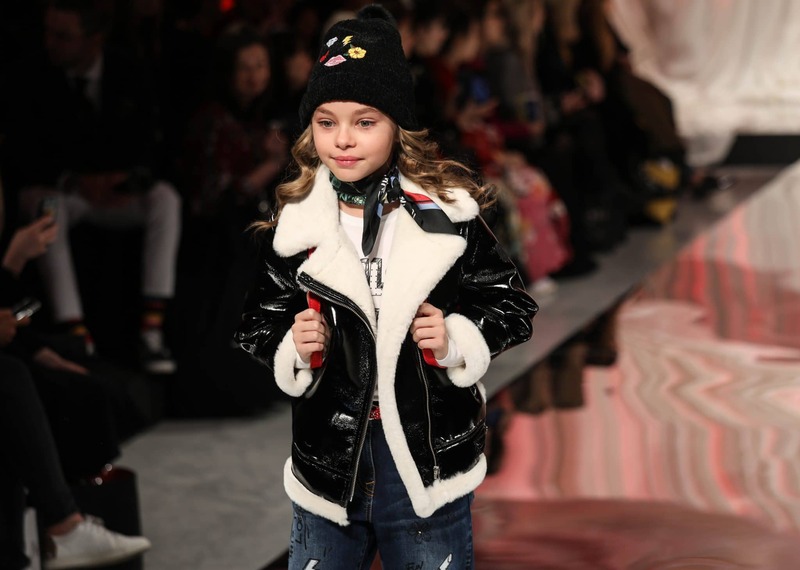 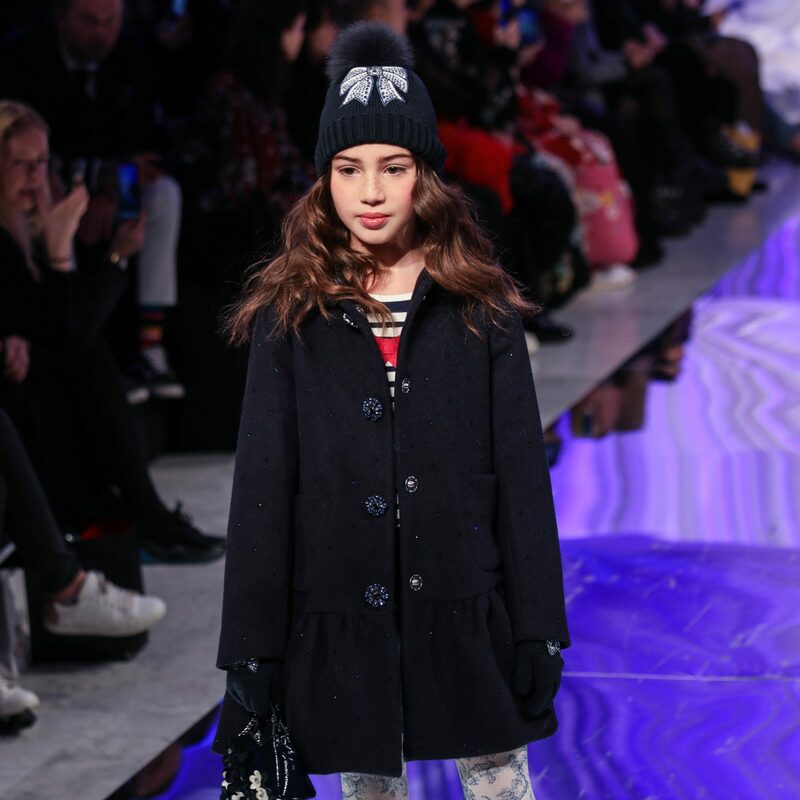 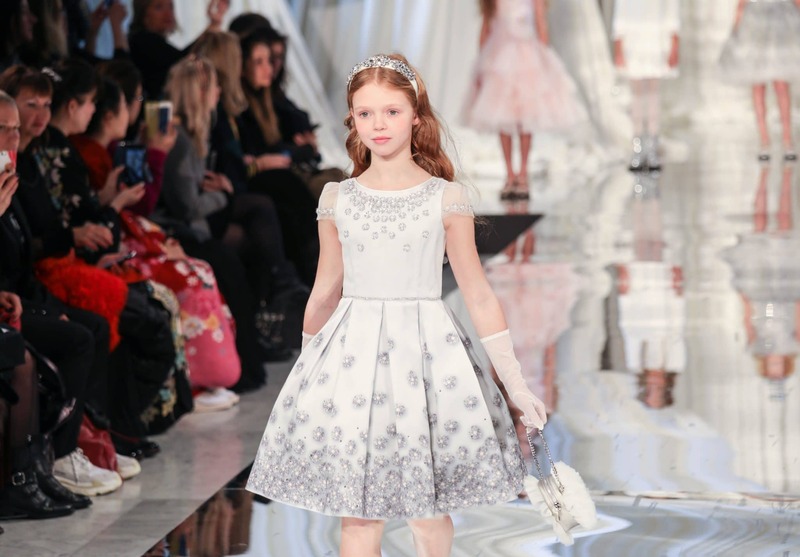 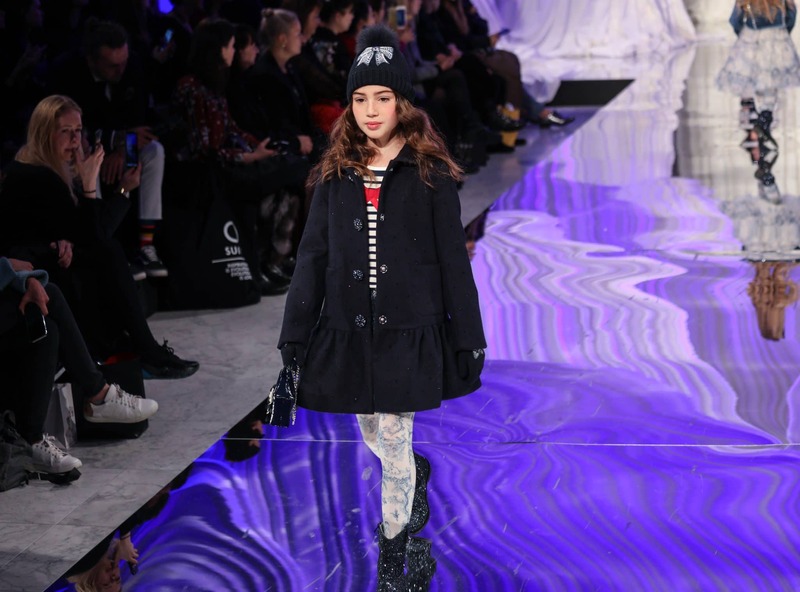 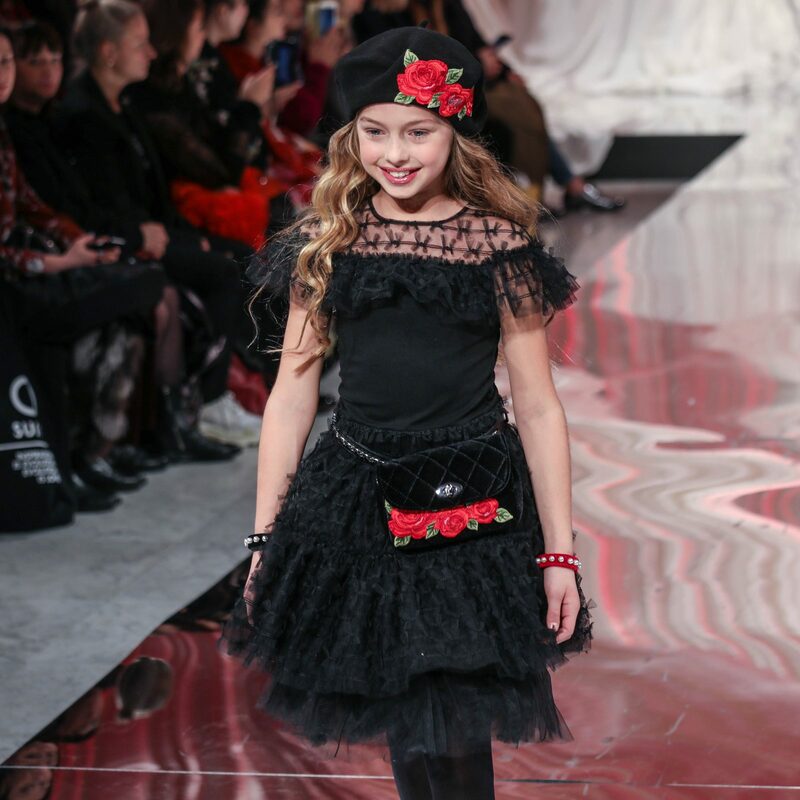 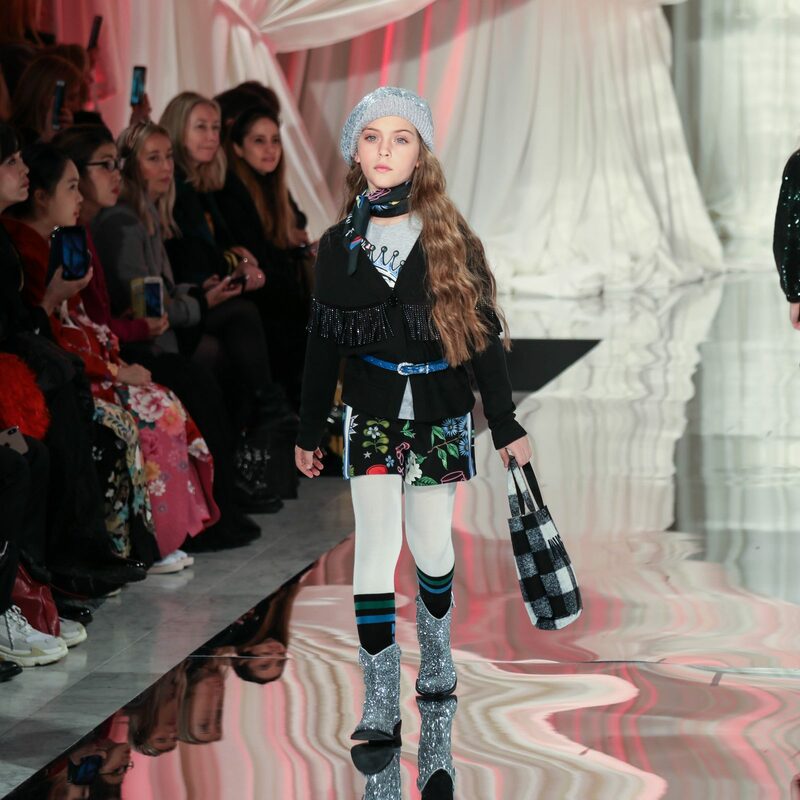 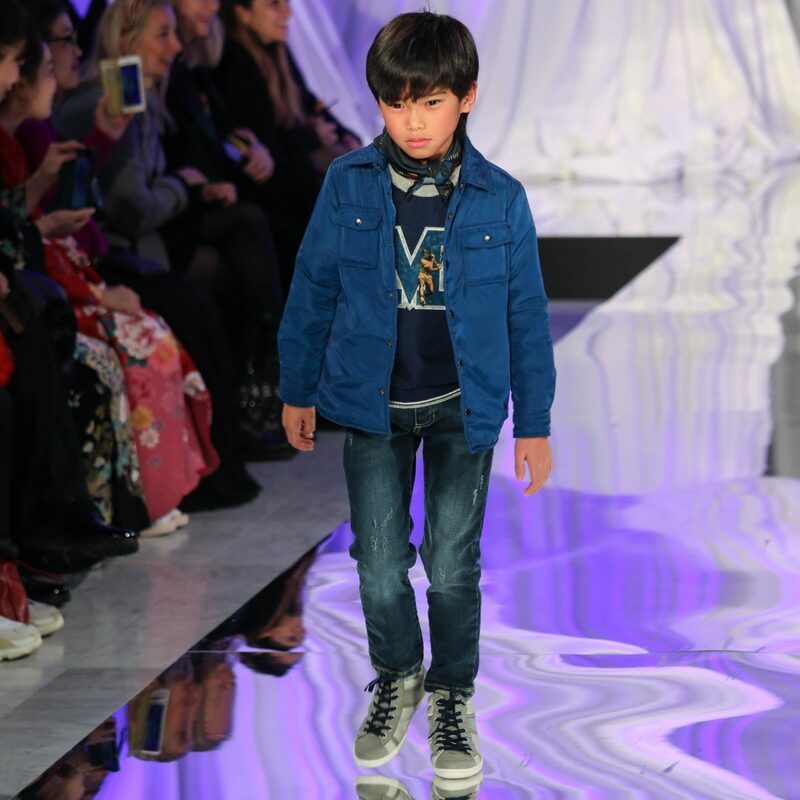 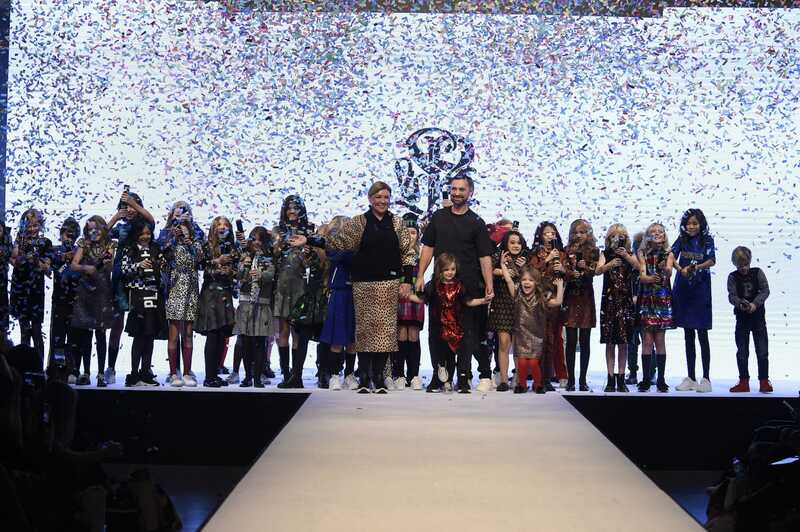 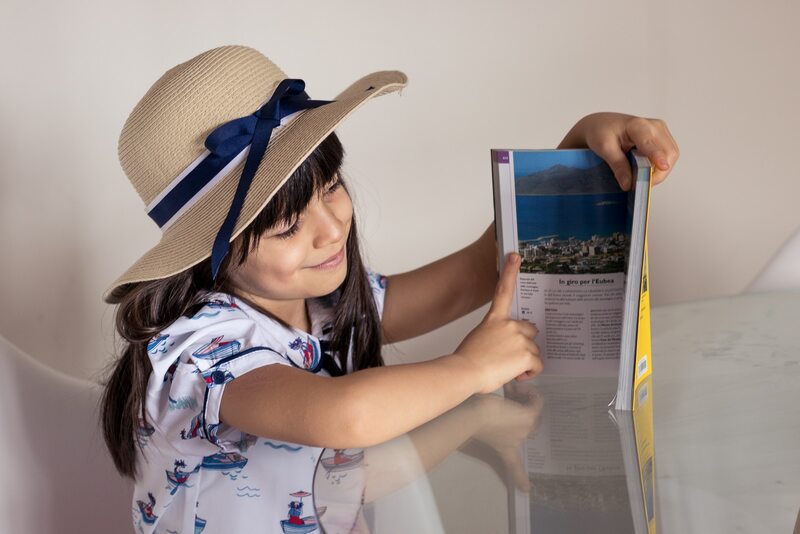 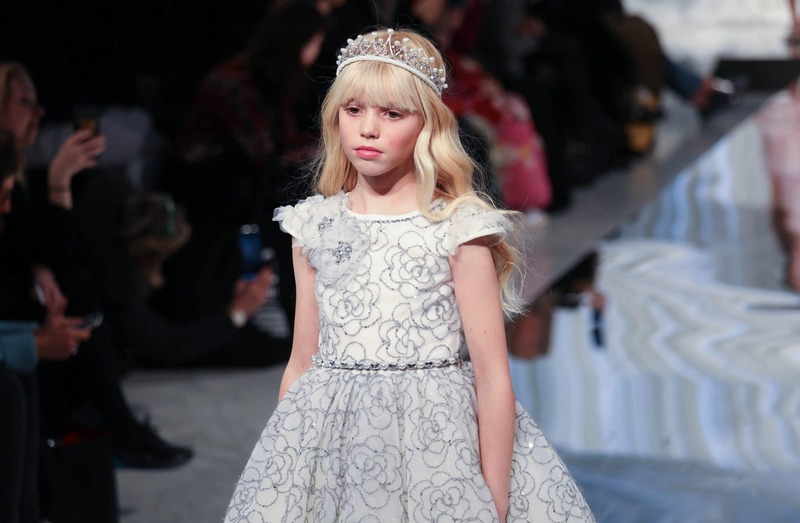 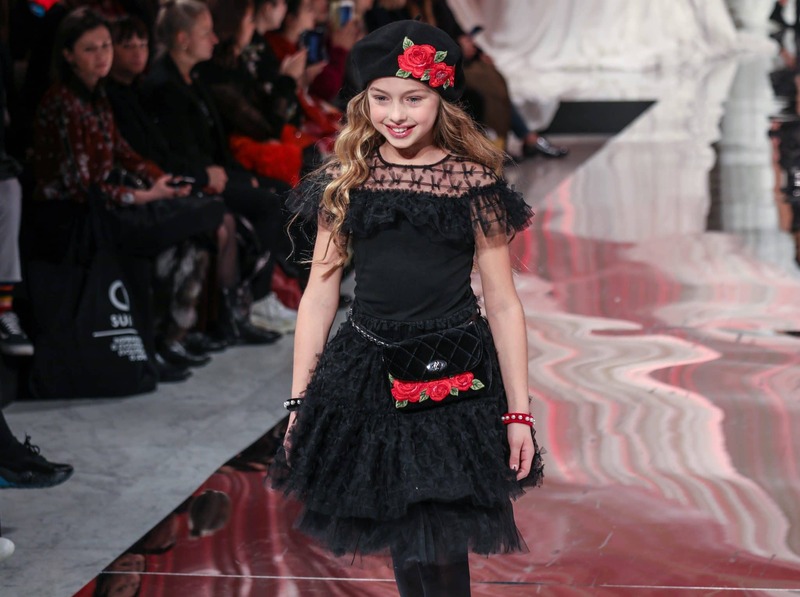 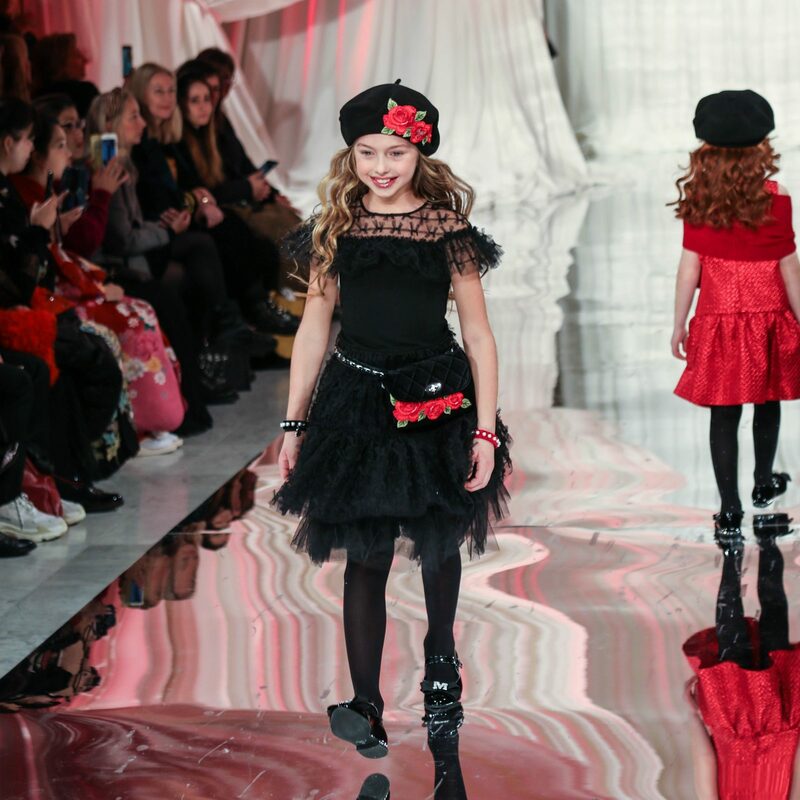 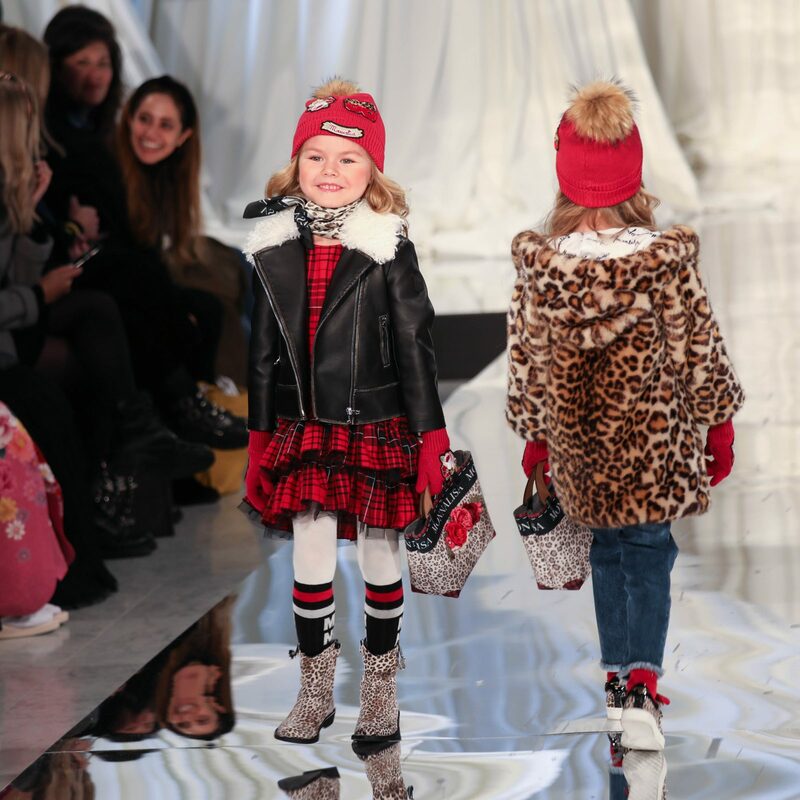 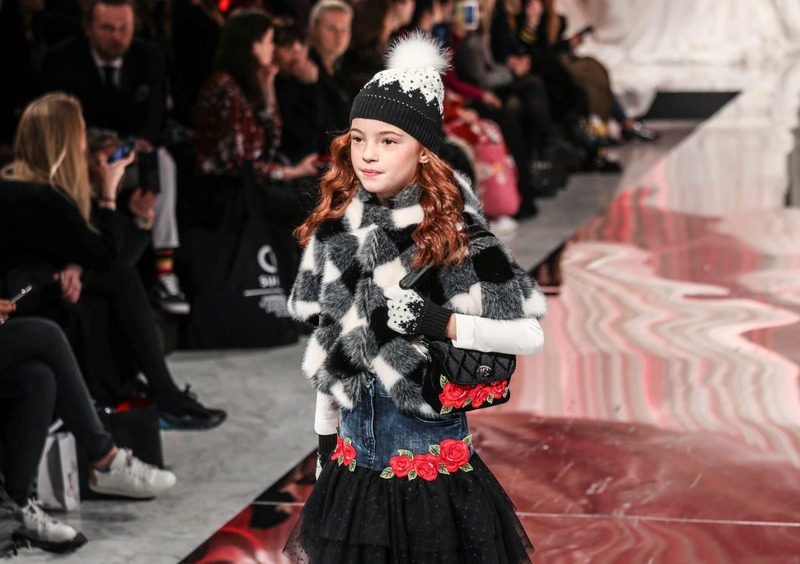 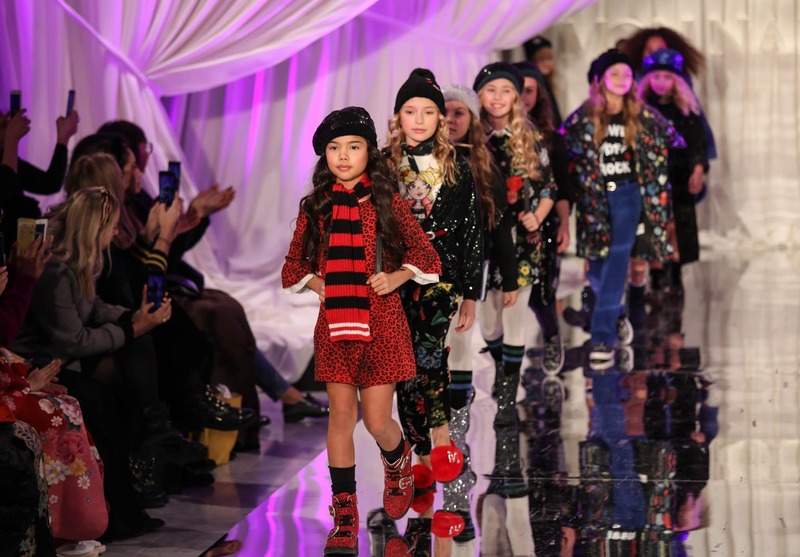 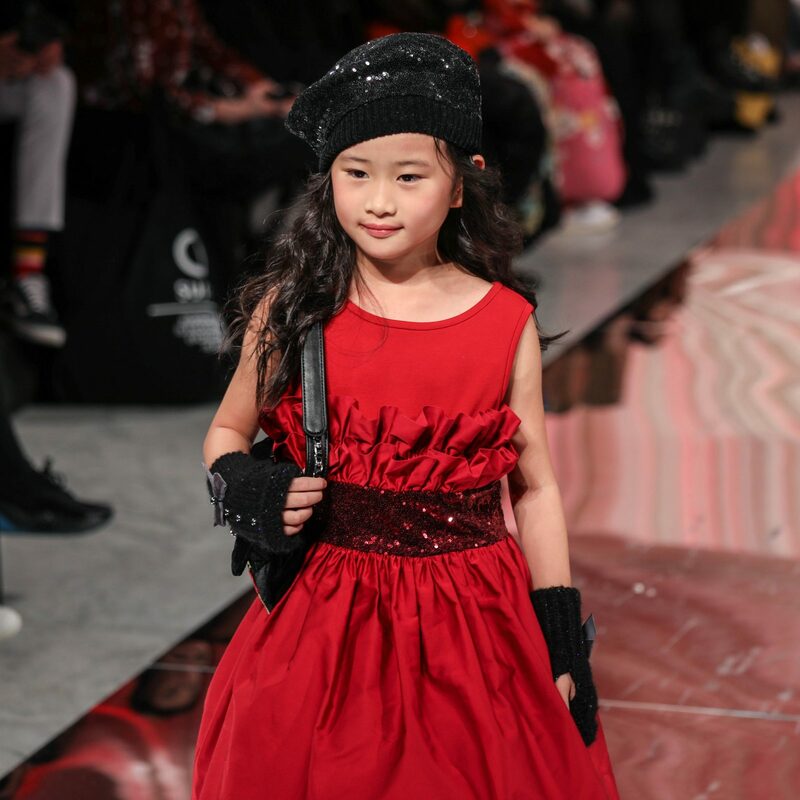 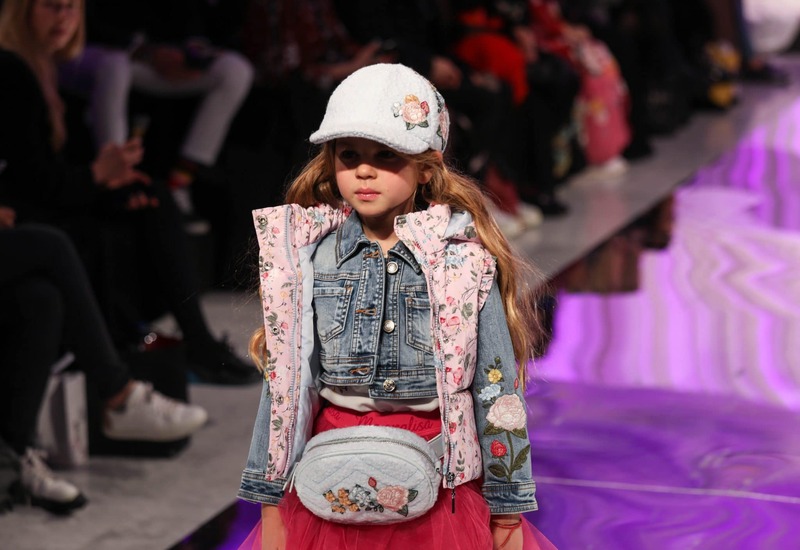 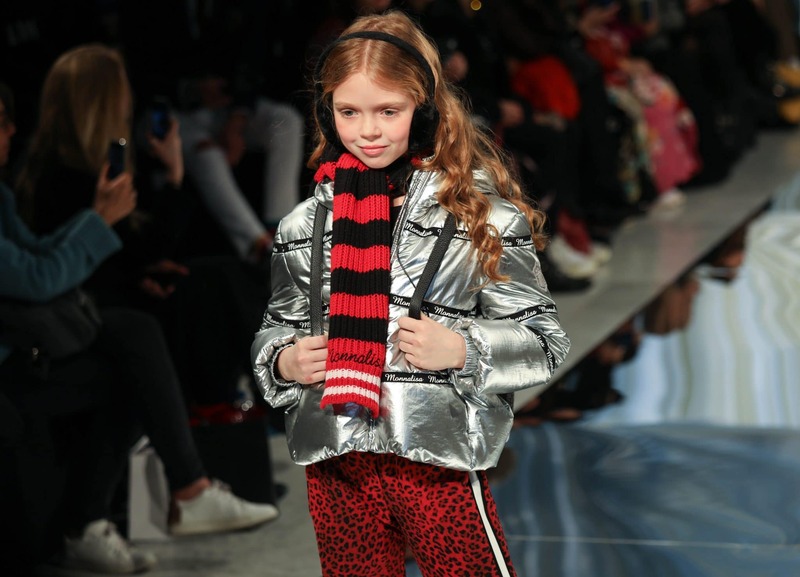 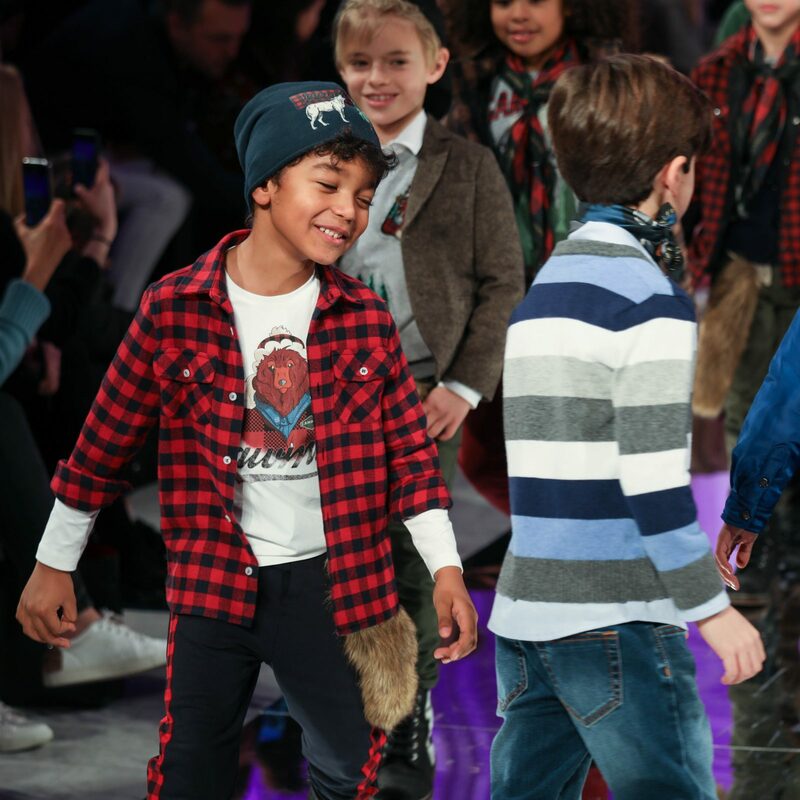 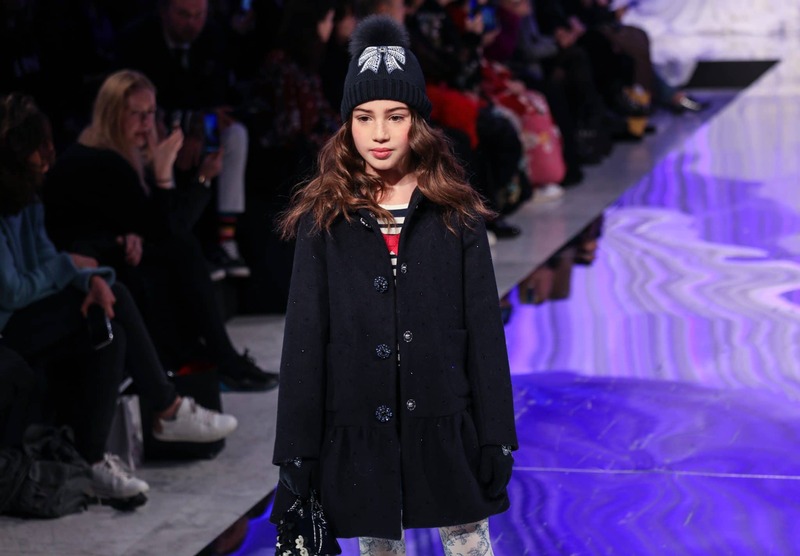 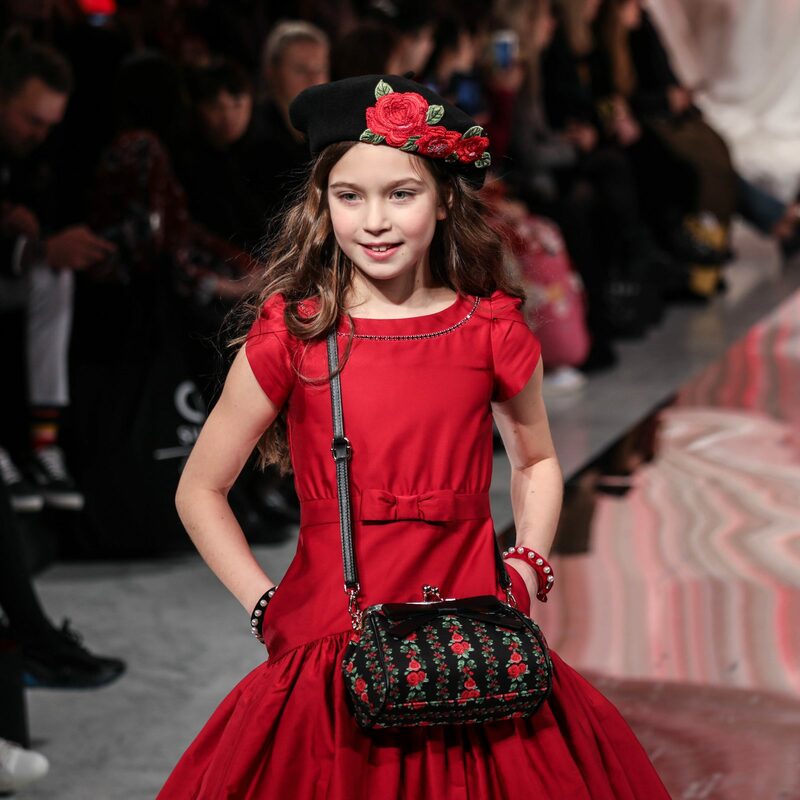 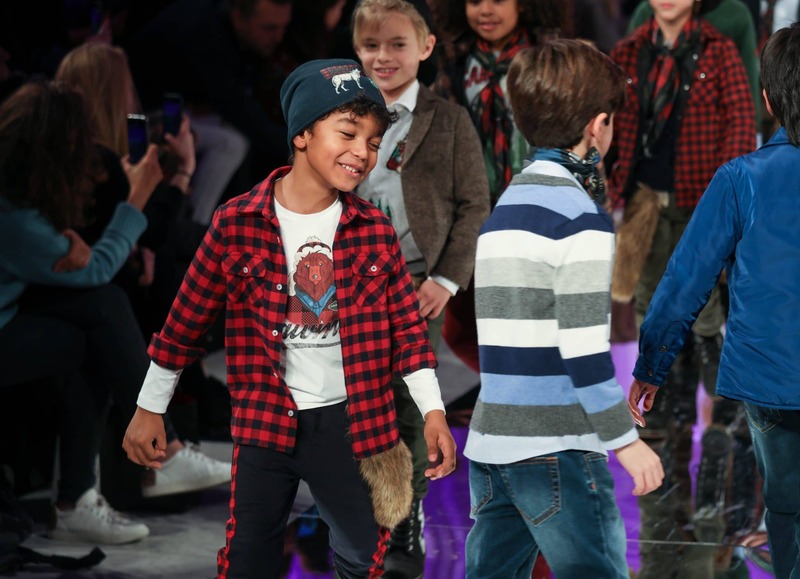 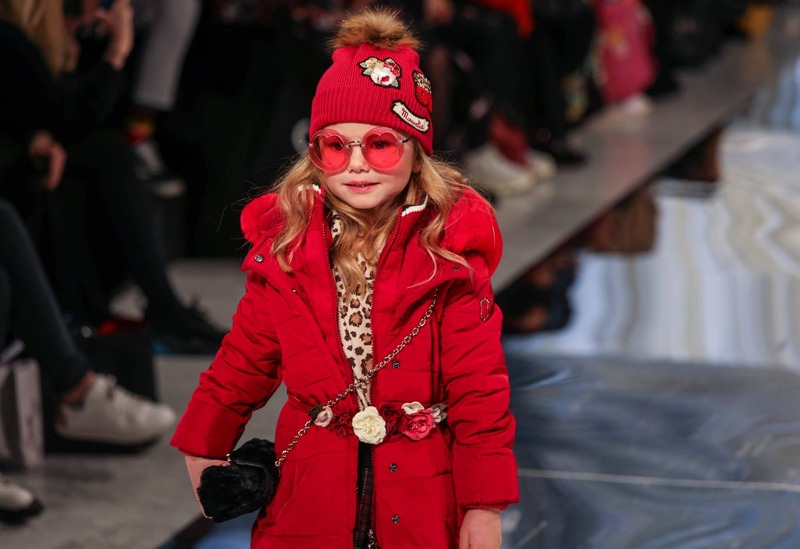 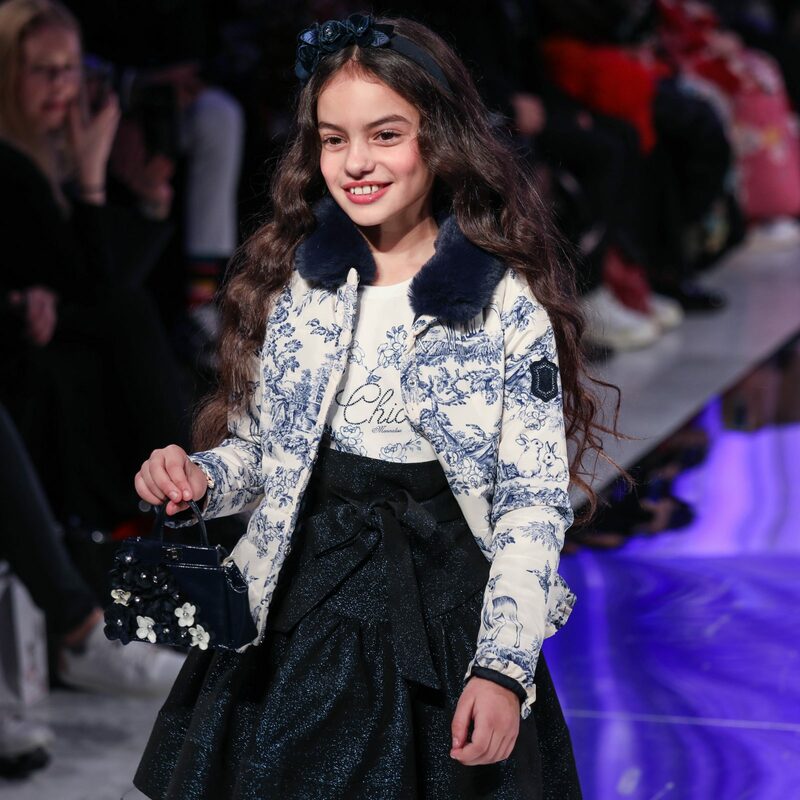 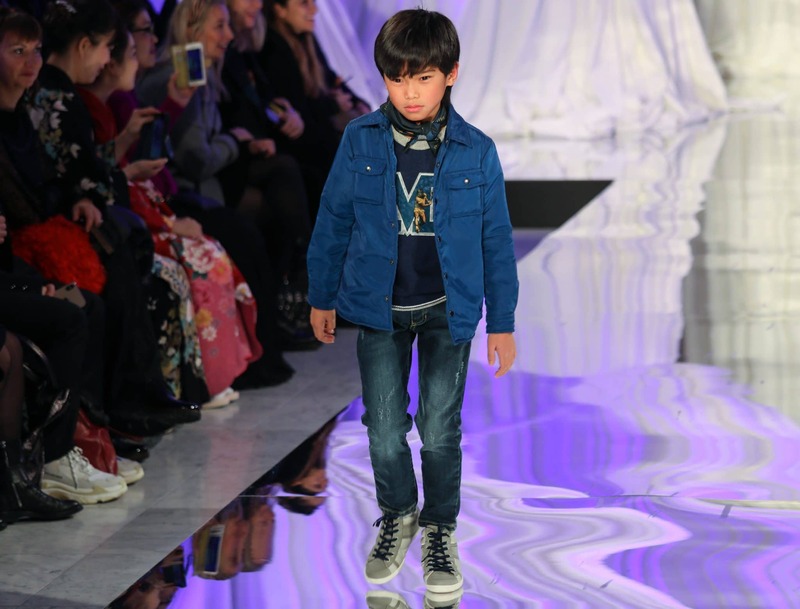 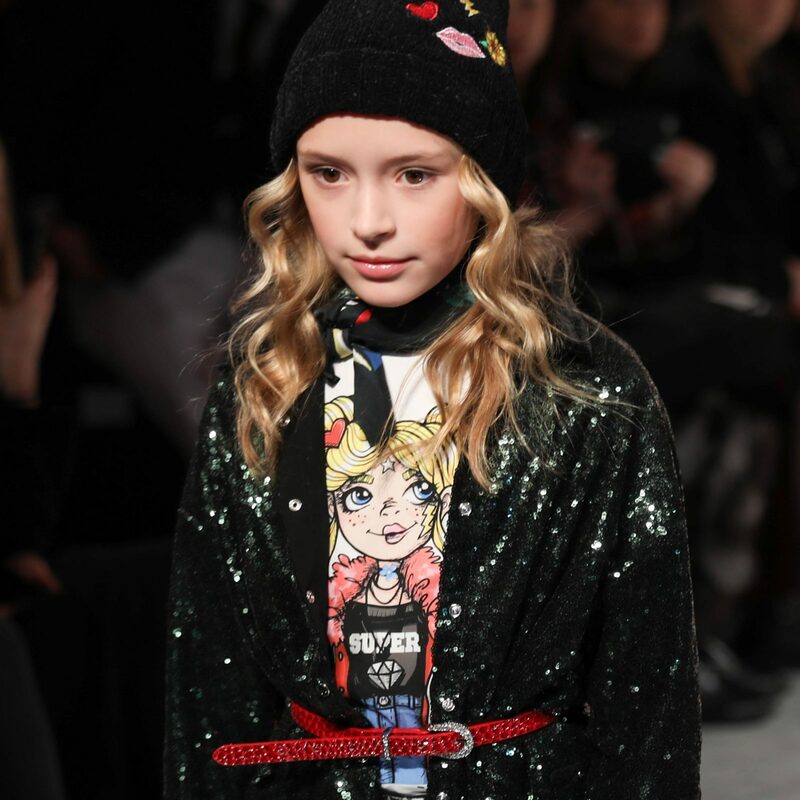 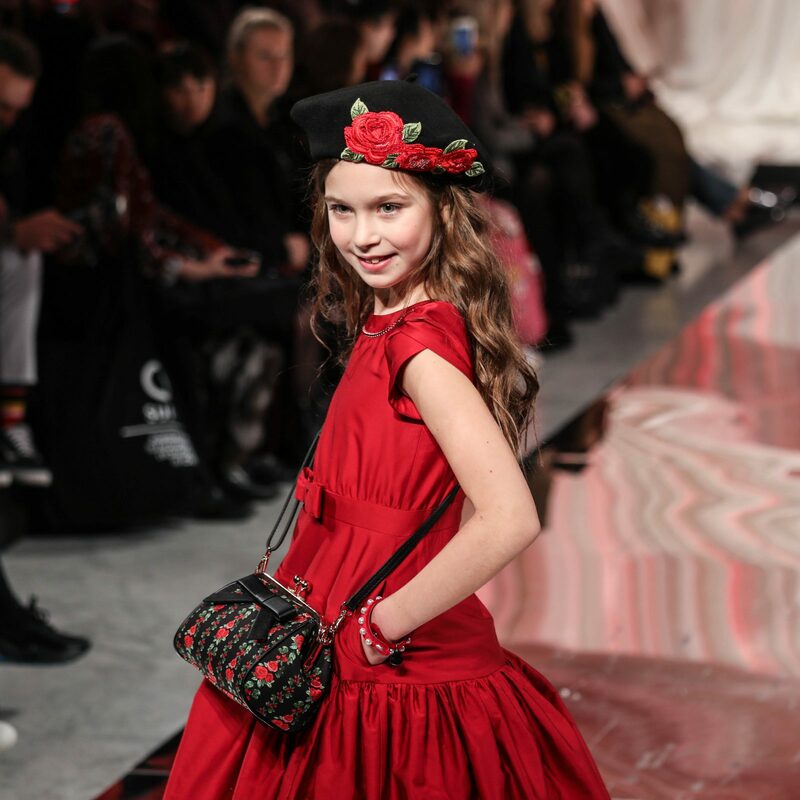 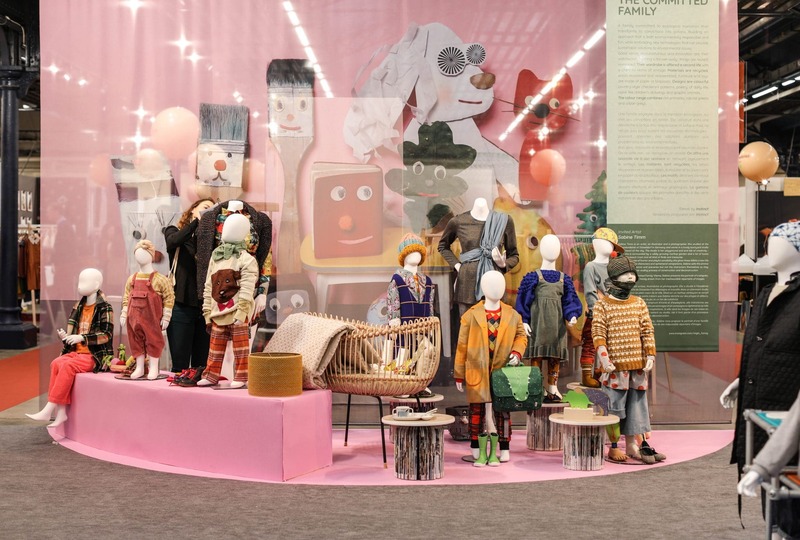 During Pitti Bimbo 88 Monnalisa, 50-year-old italian company leader in high-end childrenswear, presented its FW 2019-20 collection to press and buyers. 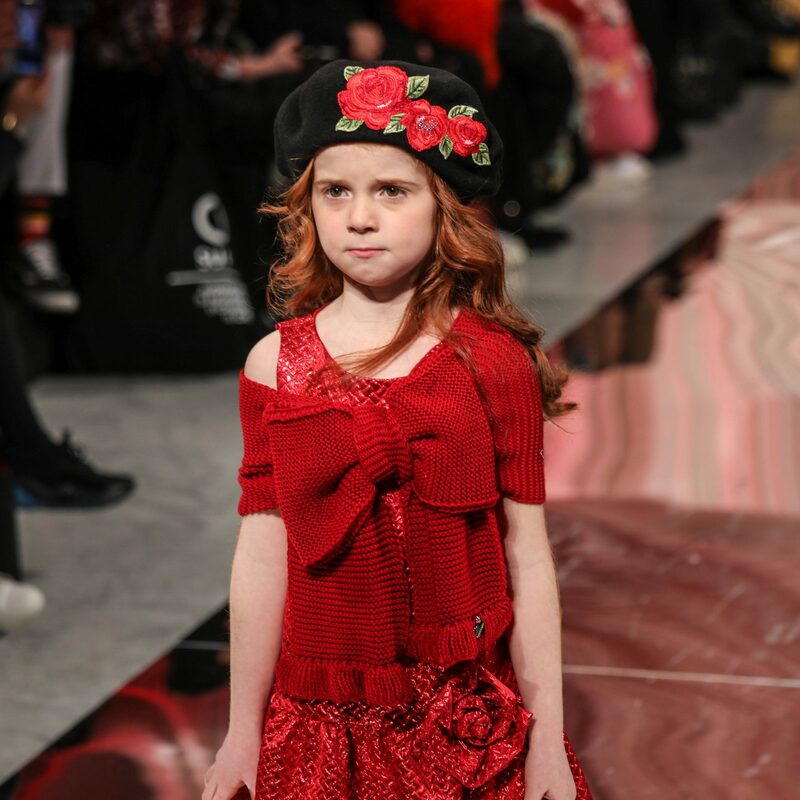 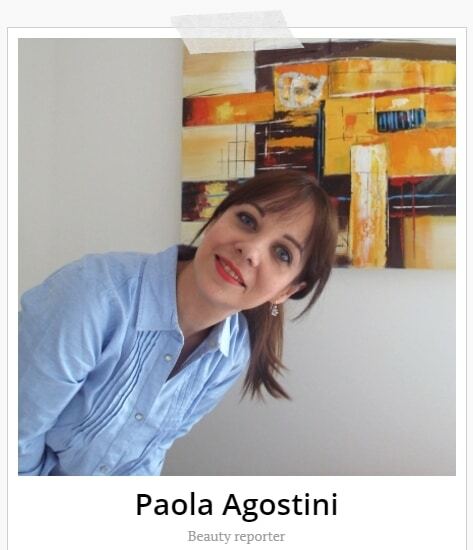 The background pf the fashion show was a sumptuous scenary draped in the exceptional location chosen for the occasion, the nineteenth-century Stock Exchange building on Lungarno Diaz in Florence, which is ideally linked to the brand’s recent stock market quotation. 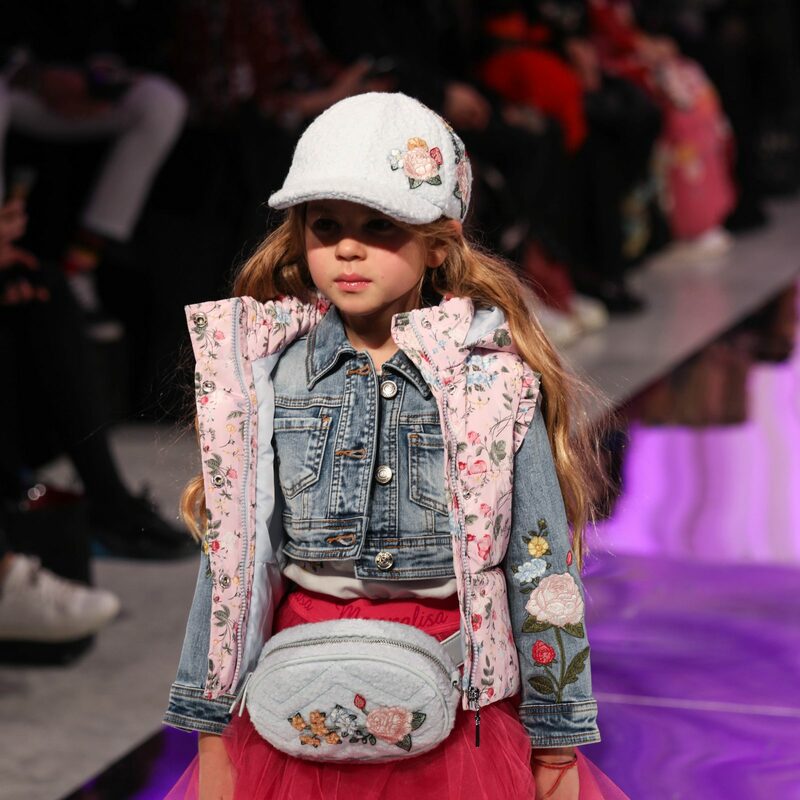 Monnalisa’s Fall/Winter 2019/20 collection is loyal to the brand, feminine and leicious: on the runway over shirts, cropped trousers with high waist or velvet trousers, small jackets in leather delavé, pleated skirts with contrasting colors, padded waistcoat with romantic botanical prints. 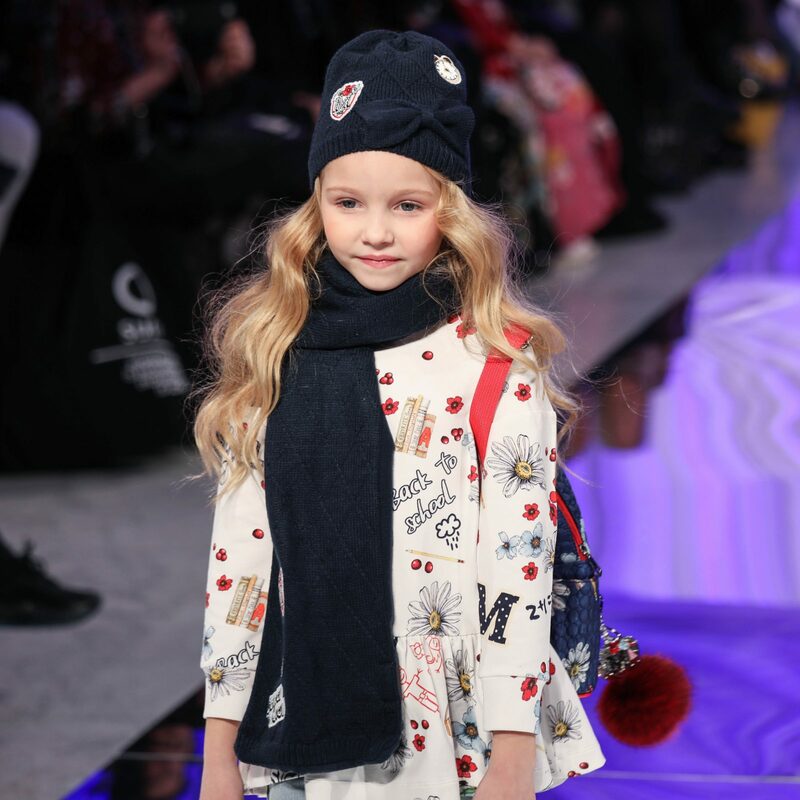 The new collection plays with lettering and embroidery, mixing them with toile de jouy prints and a pinch of tartan, always loved during the cold season. 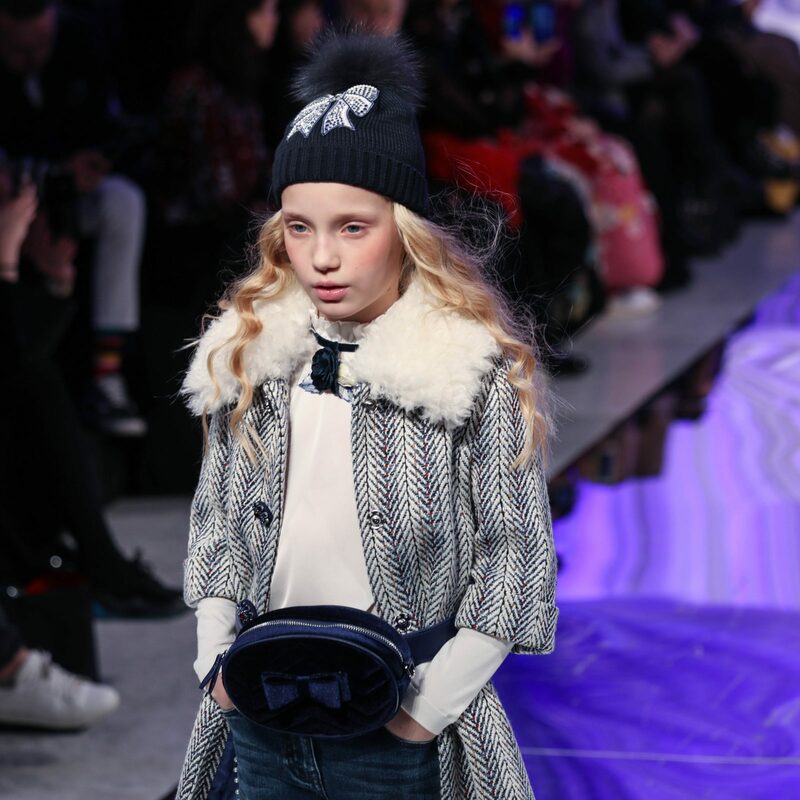 The color palette of Monnalisa Autumn Winter 2018/19 collection plays with white, black, barley, blue foncé, mole and ruby red. 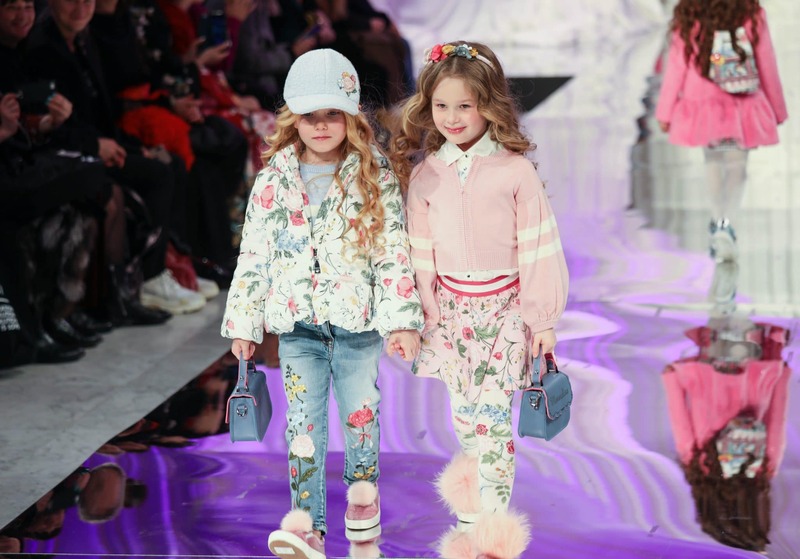 And if you’re already wondering why there’s not your size… Monnalisa presented also the woman collection, for a mini-me look that will make happy adults and kids! 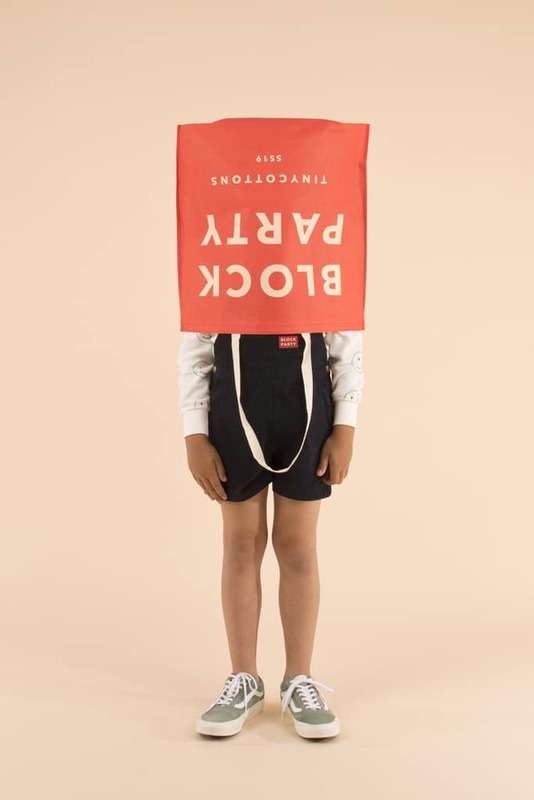 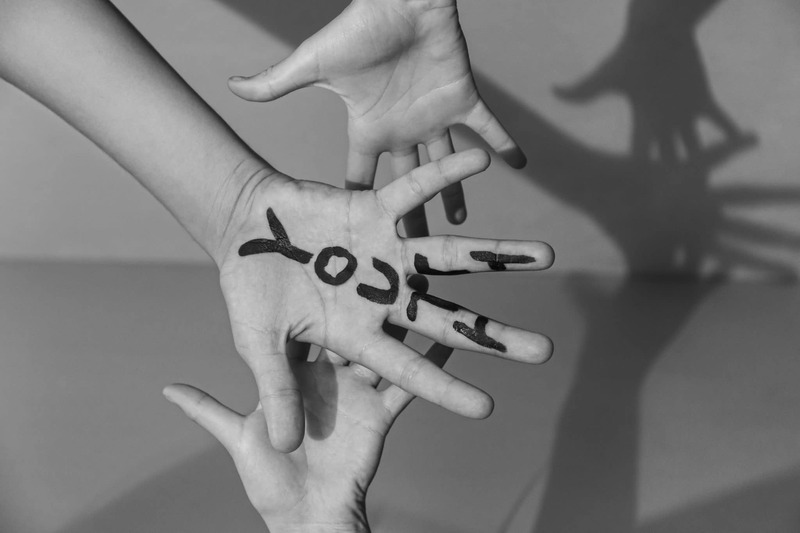 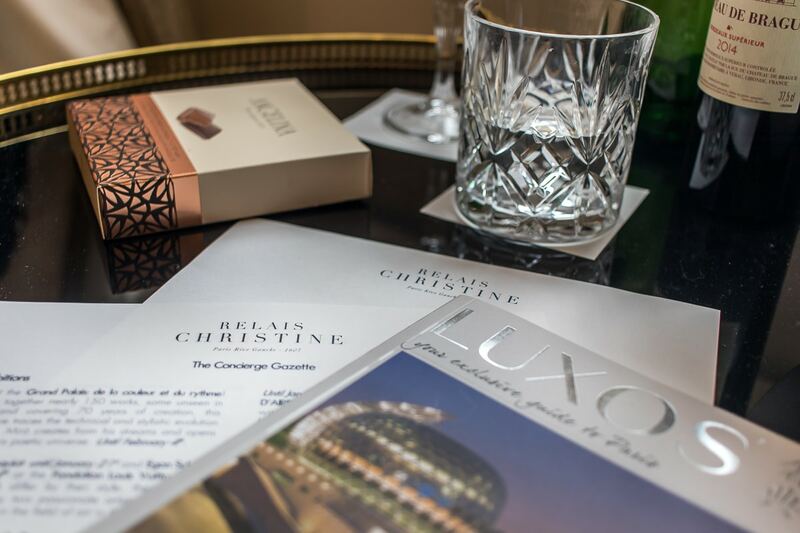 All the photos were taken by our talented friend Emily Kornya.